To do so, organization needs qualified experts. When experts are lacking, organization might provide misinformation and trivialize issues. Recently, the city of Brussels decided to put on hold deployment of the 5G networks. The reason for the Brussels’ decision was that there were not performed studies that would examine possible impact of the 5G on human health. The city of Brussels decided that research needs to be done before deployment and not post-factum when the 5G is deployed, people are exposed and scientists are “frantically” looking whether there are any health effects. The Finnish third TV channel (MTV3) informed about the halt to 5G deployment in Brussels due to health concerns and they solicited expert opinion from STUK. The expert was a senior scientist (MSc. Tech.) who might know about radiation dosimetry but obviously has not enough experience or in-depth knowledge in research on biological and health effects of radiation. STUK, providing expert who doesn’t know enough for an in-depth discussion, seems to trivialize the issue. Here is the link to the MTV3 news, in Finnish. Only the first of these four statements is correct. Indeed, after the deployment of the 5G networks, emission levels from cell towers will not exceed safety limits recommended by ICNIRP. Right now, ICNIRP is preparing to loosen recommended emission safety limits, ahead of full-scale 5G deployment. The reason for this action is, the difficulty to meet current emission limits in some locations where the 5G antennas will be deployed. So, when the safety limits will be increased the deployment of 5G will be easier and… in practice people will be exposed to more radiation, in very close proximity. 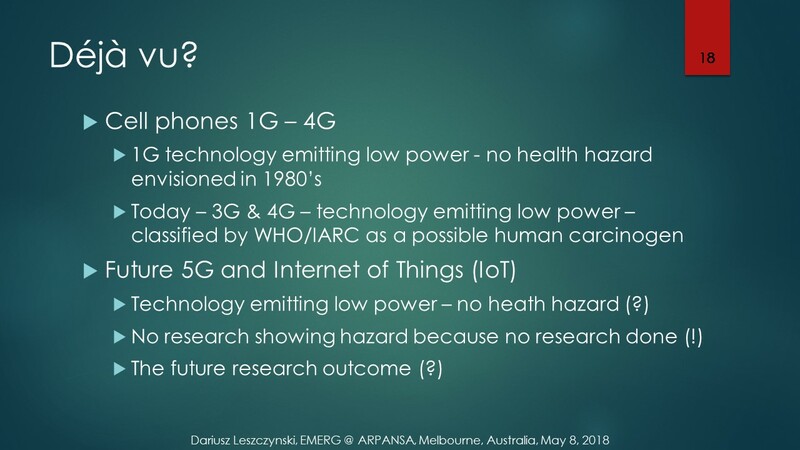 Whether this increased level of exposure is, or is not, consequential to health… nobody knows because such research on 5G systems has not been performed. We do not know! We didn’t study it. One exception is the ‘Ramazzini study’ where rats were life-time exposed to cell tower radiation levels (not 5G). Results of the Ramazzini study clearly demonstrated lack of effect, the used cell tower-like exposures didn’t cause cancer in animals. First, the dense deployment of 5G antennas will increase overall exposures of the population, even if we do not know for sure whether such increase in radiation exposure is, or is not, dangerous to health. Besides radiation frequencies currently used in 3G and 4G, the 5G will add new frequency to this mix, the millimeter-waves (30-300GHz). 3G- and 4G-emitted radiation was classified by IARC in 2011 as possibly carcinogenic (2B carcinogen) to humans. 5G millimeter-waves were not studied yet (only some 200 biological peer-reviewed studies; no epidemiology at all) and we do not know what, if any, health effects they may exert. Secondly, cell phone on idle, the smart phone, when is connected to internet emits nearly as much radiation as the same phone when it is used for calling. Synchronization of data on smart phone is based on receiving and emitting radiation. The radiation nearly-non-emitting idling phone statement applies to pre-smart phones, it does not apply to smart phones connected to internet and synchronizing data. I discussed this issue with one of the STUK’s experts & bosses but he didn’t see it necessary to put out an information for the general public about this problem with smart phones. Thirdly, IARC, a WHO entity, has classified cell phone radiation as a possible human carcinogen. This classification has not been revoked and has not been replaced by new classification. Therefore, IARC 2011 classification of cell phone radiation as a possible human carcinogen stands for now. No matter what some scientists and experts think. It is not STUK’s place to re-interpret (re-invent) this classification to its own liking. STUK expert’s denial of possible health effects is misinformation and misrepresentation. “…Epidemiological studies have shown use of such cell phones that were compliant with the current safety standards and emitted radiation levels that were below current safety limits for over 10 years led to an increased risk of developing brain cancer,” he said. The cell phones sold in shops, phones that people buy and assume them as automatically safe because they comply with the ICNIRP safety limits, are not necessarily safe for every one user. However, on the contrary to some activists’ claims, epidemic of brain cancers will not happen but only some users, having more radiation-sensitive genome/epi-genome, might develop some health problem(s). 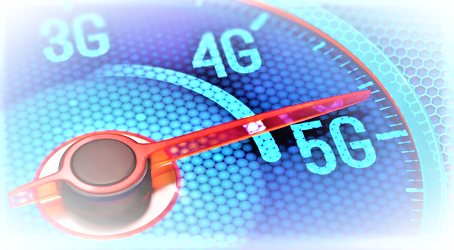 As for the millimeter-wave radiation of the 5G, it is currently assumed that the low level of radiation emissions will be safe for health of all users. However, this is only assumption. Bio-medical research has not been performed. We do not know! Déjà vu!